Triphala meaning ‘three fruits’, is a traditional Ayurvedic herbal formulation consisting of three fruits native to the Indian subcontinent. These are Amla (Emblica officinalis), Bibhitaki (Terminalia belerica) and Haritaki (Terminalia chebula). It is a natural antioxidant commonly known for its use as a gentle bowel tonic. It also alleviates constipation, supports the nervous system, boosts the immune system, helps fight cancer, nourish and rejuvenate the tissue, helps support the reproductive system and fight against bacteria that cause any disease. Triphala contains five of the six tastes recognized in Ayurveda -sweet, sour, bitter, pungent and astringent. It helps to prevent sickness and is being used as a therapeutic herbal food. Since triphala powder does not cause any serious side effect, almost any person could consume this supplement. Triphala is a healthy approach to weight loss while helping the body get rid of the toxins as proper digestion and elimination are important factors in maintaining an optimal body weight. Triphala promotes healthy eating habits by supplying the body with the full spectrum of natural tastes. Also, triphala reduces excessive water content of the tissues. 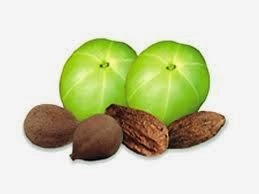 That is why triphala can be successfully used as part of a weight loss program. 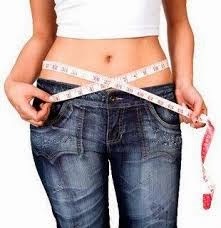 The effective way of ingesting triphala for weight loss is as tea. For this, make a decoction by adding ½ tsp of triphala powder to about 150ml of hot water. Stir and allow the tea to cool and drink. It can be taken on an empty stomach in the morning or before retiring to bed. If you cannot stand the taste, or have shortage of time, it would be convenient to take 2 triphala tablets (1000 mg) with water, before bed or upon rising in the morning. Remember to eat plenty of vegetables, greens, berries, nuts, seeds, fruits, and proteins when taking triphala because maintaining good health is as significant as attaining optimal weight. Triphala is a natural detoxifying formula. Some people may experience headache, nausea, upset stomach and diarrhea. Since Triphala supports healthy elimination, one may experience looser. If the problem becomes too intense, stop taking triphala until the symptoms subside or simply reduce the amount you are ingesting. If the symptoms recur, it is best to stop use and consult a practitioner. Vani, T. et al. Antioxidant properties of the Ayurvedic formulation triphala and its constituents. Pharmaceutical Biology 1997; 35 (5): 313-317. G. H. Naik, et al. In vitro antioxidant studies and free radical reactions of triphala, an ayurvedic formulation and its constituents.Phytotherapy Research 2005; 19(7): 582-586. Shi Y, Sahu RP, Srivastava SK. Triphala inhibits both in vitro and in vivo xenograft growth of pancreatic tumor cells by inducing apoptosis. BMC Cancer. 2008 Oct 10; 8:294.